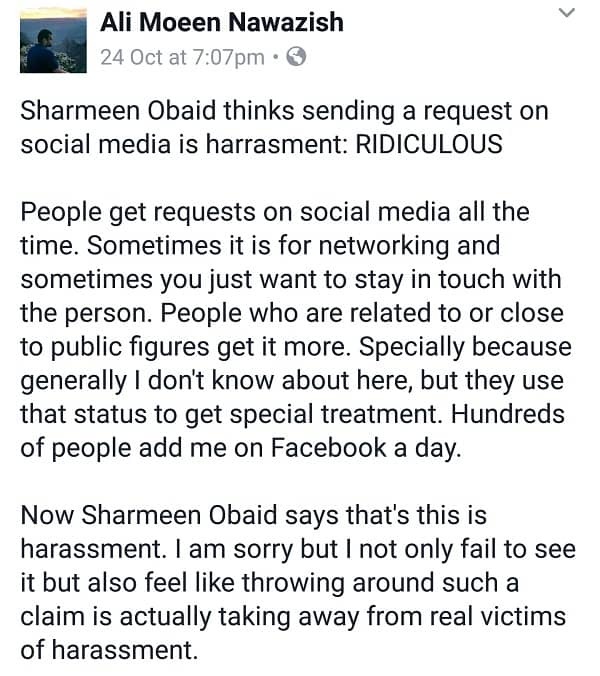 Sharmeen Obaid Chinoy Termed FB Requests As Harassment! Sharmeen Obaid Chinoy is a famous Pakistani filmmaker who has won academy awards two times for her documentaries. She is very vocal about her opinions on different issues. Recently a Hollywood producer was accused by many A-list actresses of sexual harassment and it started a debate on this topic. People shared their experiences in this regard and supported the actress Ashley Judd who started this debate after coming forward with the allegations against the famous producer. 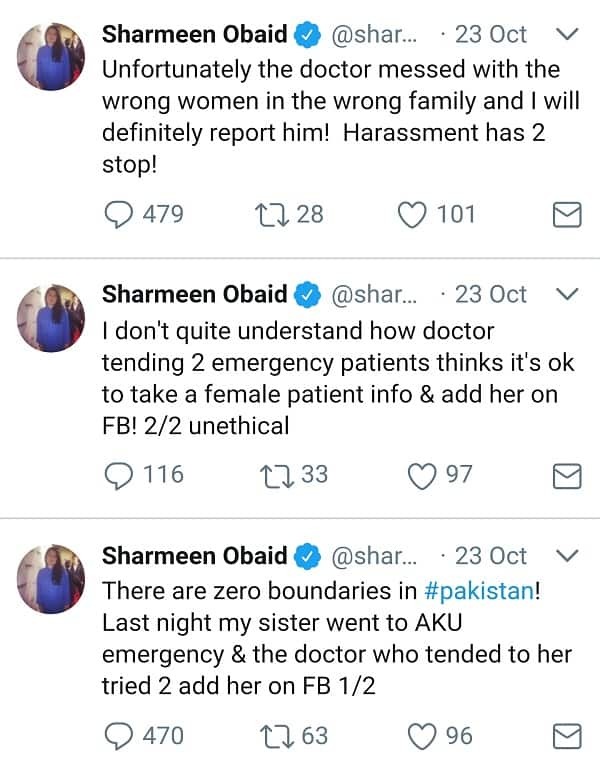 Maybe due to the roaring topi, Sharmeen also took to Twitter after her sister got a friend request from the doctor who treated her at Agha Khan University Hospital. 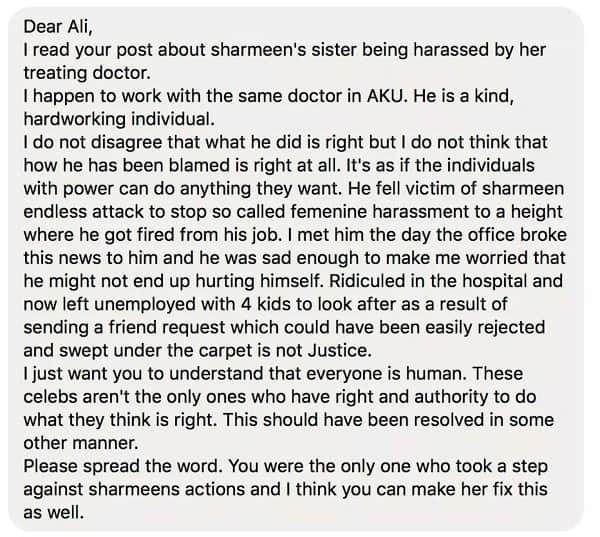 She termed the request as a form of harassment and also said that she will report him. 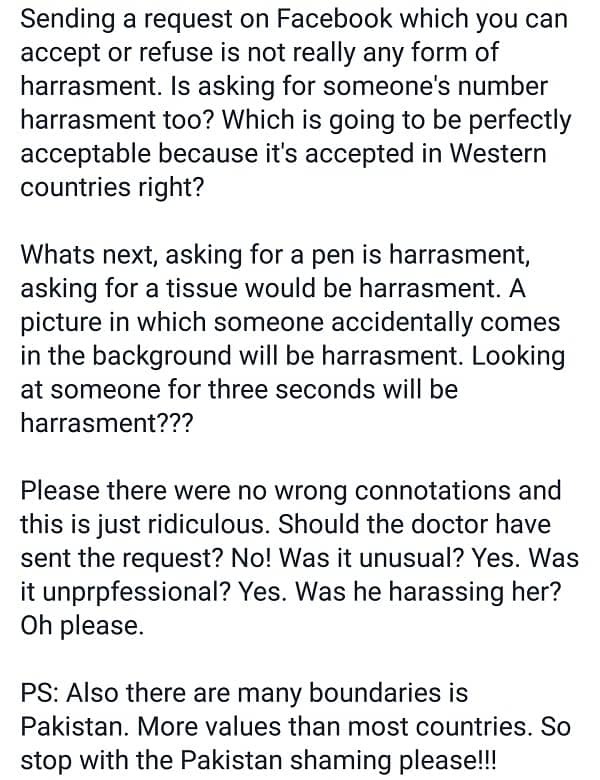 The doctor is now fired from the hospital. He has four kids, is jobless and yes an allegation of sexual harassment too on him! Do you think it is right for a celebrity to get a person’ career destroyed due to a friend request? Share your thoughts!